May buy 2 for yourself and 2 additional as gifts. May redeem 1 per visit. Online appointments required; click here to schedule. 24-hour cancellation noticed required. Option B: Valid for short or medium hair with no additional fees, haircut not included, bleaching is extra, includes 1 color. Expires 4 months after purchase. See the terms that apply to all deals. The Holiday Men's Deluxe treatment includes haircut & style ($45 value), unlimited free neck & ear trims, youthful facial ($20 value), and replenishing hand treatment ($20 value). New York style has been brought to Utah with A Touch of New York Salon. Their experienced stylists dedicate their time to pampering each guest and giving them an experience unlike any other salon. 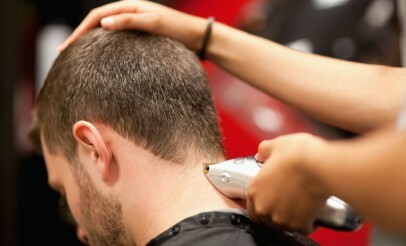 They offer a variety of services for men and women and keep you looking and feeling professional.